Before we can show you your quotes we'll need to ask a few details about your pet. Please answer these as accurately as you can. After you've completed the form, we'll be able to show you the best pet insurance quotes from the top UK insurance providers. The whole process only takes a few minutes. Half of the customers using this comparison tool are quoted less than £40* for Pet insurance. You could be too! Save money on your dog or cat insurance! Many pet owners consider their pets to be as much a part of the family as any person in the household. As well as providing a great source of companionship, they can help to relieve stress and depending upon the animal, also help to keep you fit and active. Pets have become such important parts of our lives that plenty of us treat our pets like furry little people. We care for our pets by giving them cute names such as Fido, Lola or Freddy, getting them groomed, keeping their nails trimmed, buying them cute little jackets to keep them warm in winter, buying them special treats and sparkly collars, so we know that you will be looking for the best value comprehensive pet insurance to protect your pet’s well-being and reduce the cost of vet's fees should your dog or cat become sick or have an unexpected accident! Keeping a pet requires a certain amount of responsibility and commitment. It’s against the law to neglect or be cruel to an animal that’s kept as a pet. If you’re responsible for an animal, you must make sure that you care for it properly. For details about what you must make sure you do for any animal you own or care for visit: www.gov.uk/caring-for-pets. Pet medication can cost much more if your pet is prescribed a treatment from the vet. In the unfortunate event your pet suffers a serious accident or illness requiring the likes of x-rays, blood tests, nursing or even surgery or hospitalisation, this can cost thousands of pounds for which you will usually need to pay up front in cash or by credit card, before you can make a pet insurance claim. With pet care insurance cover you can rest assured that help will be at hand financially should the need arise to cover vet's fees for your dog or cat. Compare pet insurance plans, get a quote and buy online. The date you want the cover to start. Has your pet been previously insured? Has your pet ever been involved in an accident involving a third party or attacked, bitten or been aggressive towards a person or other animal or has he/she shown any aggressive tendencies? Has an insurer ever declined you for insurance, refused to renew a policy with you, or terminated cover for the pet you wish to insure? If my pet was free, do I pay less in premium? No, as pet insurance is mainly for vet’s fees, and these are dependent on the age and breed of your pet - your pet's cost is less of a factor. No. Although there is unlikely to be cover for claims arising from a condition which vaccination would have prevented. Why do you need to know where I live? The insurance risk will differ based on where you live, and so your premium needs to take this into account. Why do you assume that my pet hasn’t received any treatment in the last 12 months? The reason most pet insurers ask this is because they need to determine whether your pet has a pre-existing condition. A pre-existing condition is any condition for which your pet has already received veterinary advice or treatment prior to purchasing in a new pet insurance plan. If your pet has been treated by a vet within the last 12 months, most pet insurers will insure your pet excluding the pre-existing condition from the cover. What if I adopted my pet from a rescue centre, shelter or animal sanctuary? Most rescue centres provide an estimated age for the animal if they do not know its history. Some pet insurers will ask whether your pet has been rescued and ask you to provide the estimated age. Is there an age limit for my pet? This will depend on the type and breed of your pet, but it is possible to continue cover for life (life-time pet cover) once you have insured your pet. 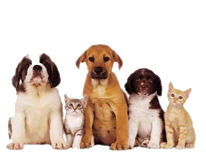 Some insurers will not cover older pets; however we have insurers on our panel that offer Senior Pet Cover. Are pet policies for older pets more expensive? Senior pet premiums aren’t that much greater than for a younger animal, as you will see when you get a quote for an older pet, but some insurers may expect you to pay an excess on any claim. What does life-time pet insurance cover mean? Should your pet get a condition that may take some time to treat - such as diabetes or arthritis - a ‘life-time’ pet insurance policy will cover them for more than the first 12 months. Non-lifetime policies will cover a condition for only up to 12 months; after that you have to pay. There are some insurers that offer ‘per condition’ life-time cover. This means should your insurer offer up to £25,000 ‘per condition’; your pet would be covered up to £25,000 for each and every condition they get no matter how many years it takes to use this amount. If your pet had more than one condition, they would receive that many times of cover. *50% of customers who purchased Pet Insurance through this service provided by Seopa were quoted less than £40 (Feb '16 Sales).